Animated Video: ‘What is Present Pal’? Present Pal is a presentation support software which acts like a set of interactive flashcards on your smartphone or tablet, integrating fully with Microsoft PowerPoint. 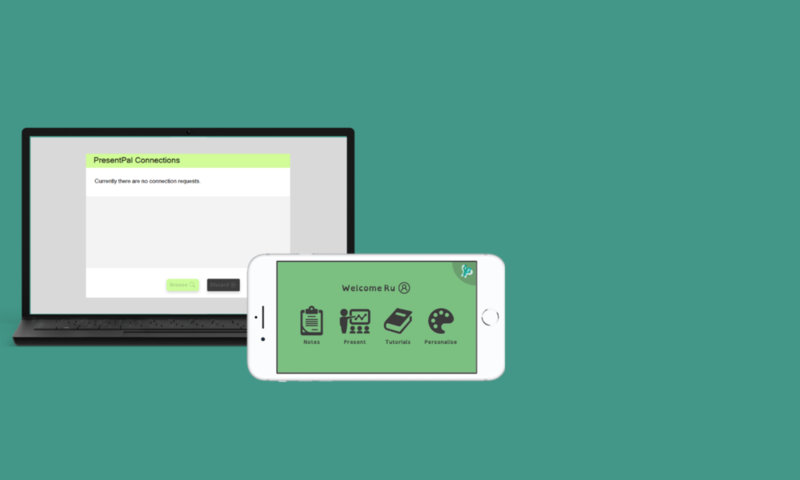 Present Pal has various expert advised features such as 3-5 bullet points per flashcard, line focus scrolling and pop up bubbles which have been tailored to the needs of individuals with SpLDs and anxiety. Users can also personalise Present Pal to suit their individual needs by choosing from scientifically proven colour overlays and accessible fonts to reduce visual stress whilst presenting. GIF: Are you a needs assessor? Have you assessed students with a public speaking fear? Present Pal has been approved by the Disabled Students’ Allowances and Access to Work to support and enhance students’ presentation skills. Present Pal has been recommended for students with dyslexia, anxiety, ADHD, autism and physical impairments. Got the Desktop Link App?